WASHINGTON (AP)  Attention wealthy nations and billionaires: A team of former NASA executives will fly you to the moon in an out-of-this-world commercial venture combining the wizardry of Apollo and the marketing of Apple. Dozens of private space companies have started up recently, but few if any will make it  just like in other fields  said Harvard astronomer Jonathan McDowell, who tracks launches worldwide. The firm has talked to other countries, which are showing interest, said former NASA associate administrator Alan Stern, Golden Spike's president. Stern said he's looking at countries like South Africa, South Korea, and Japan. One very rich individual  he won't give a name  has also been talking with them, but the company's main market is foreign nations, he said. Many countries did pony up millions of dollars to fly their astronauts on the Russian space station Mir and American space shuttles in the 1990s, but a billion dollar price tag seems a bit steep, Harvard's McDowell said. NASA chief spokesman David Weaver said the new company "is further evidence of the timeliness and wisdom of the Obama administration's overall space policy" which tries to foster commercial space companies. Getting to the moon would involve several steps: Two astronauts would launch to Earth orbit, connect with another engine that would send them to lunar orbit. Around the moon, the crew would link up with a lunar orbiter and take a moon landing ship down to the surface. The company will buy existing rockets and capsules for the launches, Stern said, only needing to develop new spacesuits and a lunar lander. Stern said he's aiming for a first launch before the end of the decade and then up 15 or 20 launches total. Just getting to the first launch will cost the company between $7 billion and $8 billion, he said. Besides the ticket price, Stern said there are other revenue sources, such as NASCAR-like advertising, football stadium-like naming rights, and Olympic style video rights. It may be technically feasible, but it's harder to see how it is financially doable, said former NASA associate administrator Scott Pace, space policy director at George Washington University. Just dealing with the issue of risk and the required test launches is inordinately expensive, he said. 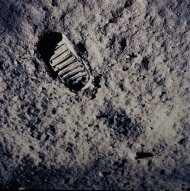 Company board chairman Gerry Griffin, an Apollo flight director who once headed the Johnson Space Center, said that's a correct assessment: "I don't think there's any technological stumble here. It's going to be financial." The company is full of space veterans; American University space policy professor Howard McCurdy called them "heavy hitters" in the field. Advisers include space shuttle veterans, Hollywood directors, former House Speaker Newt Gingrich, former U.N. Ambassador Bill Richardson and engineer-author Homer Hickam. 1.5 Billion wakati Warusi wanakupeleka Space station for just 20 mill, washushe tutawafikiria next vacation.